Tile flooring is the best choice for bathrooms and laundry room. It’s also a good choice for kitchens and foyers. 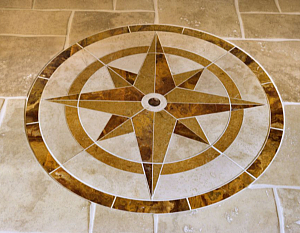 Tile floors offer great creativity of design possibilities. Marble and granite are sometimes subject to availability questions and greater price fluctuations. Tile can be a do-it-yourself project. But unless you have some experience at it, you should keep it simple. 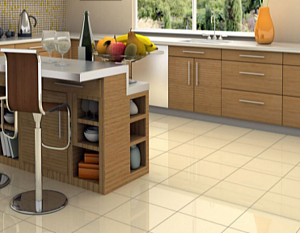 Solid vinyl tile comes in a wide variety of styles and colors. Creative design is easy and relatively inexpensive. Durability is good and maintenance simple. Ceramic and porcelain also offer a wide variety of styles, and come in different grades designed for different levels of traffic. The stone tiles ─ granite and marble, are the most expensive. They can also be the most beautiful and desirable, being a strong positive factor in home resale. All your wood and tile choices come down to that same old value judgment between desire and affordability.